This chocolate mousse recipe is easy to make and delicious. Rich, silky, and smooth, this chocolate mousse is pretty to serve, and a treat to eat. Chocolate Mousse! Mousse au chocolaté! However you want to say it, it’s divine. I used to be afraid to make it. I don’t know why it scared me, it just seemed like a dessert you only should eat in Paris or at fine parties, not a dessert you make at home. Well, I decided to be brave and give it a try and guess what? It’s not scary at all! This chocolate mousse recipe is actually really easy, almost too easy! Now, I know I can make chocolate mousse at home. This could be dangerous because this chocolate mousse is DIVINE! You only need three ingredients to make this chocolate mousse, I told you it was EASY! You can also add a pinch of course salt if you want. I love the hint of salt with the sweet chocolate. And of course feel free to top the chocolate mousse with whipped cream! Pro tip-make sure you use the BEST chocolate for this recipe. Splurge on the good stuff because it will make a difference in the overall taste of the chocolate mousse. I like to use bittersweet or semisweet chocolate. I made this dessert for date night and we both loved it! You can get all romantic and share a mousse, but I wanted my own. I didn’t want to share..ha! The chocolate mousse is rich, silky, and smooth. I topped it off with whipped cream and chocolate shavings. It is pretty to serve and a treat to eat! You could also serve with fresh raspberries. 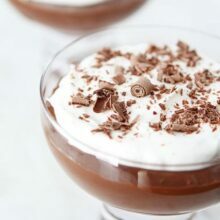 This chocolate mousse is the perfect dessert for Valentine’s Day, holidays, or any special occasion. 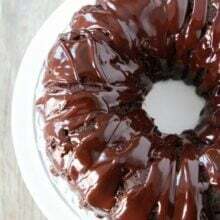 You can also make it just because, chocolate is always a good idea! You can’t go wrong with this classic French dessert…and chocolate is always a good idea! You only need three ingredients to make this easy chocolate mousse. It is the perfect dessert for any occasion! Combine the chocolate and water in a heatproof bowl set over a pan of barely simmering water. Heat until the chocolate is almost completely melted, stirring occasionally. Remove the bowl from the heat and stir until the mixture is smooth. Set aside and let cool to near room temperature. Portion the mixture into 4 individual serving dishes (or 2 larger serving dishes, for a romantic, share-friendly dessert). Cover with plastic wrap and refrigerate at least 3 hours. Serve with freshly whipped cream and chocolate shavings, if desired. Ohh man I love chocolate mousse! Yours sounds so easy and looks delicious!!! Need to make this and soon!! This looks divine–I am totally nuts for chocolate mousse and this looks so good I could dig in right now! 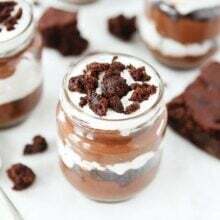 I love chocolate mousse and I love how simple this! I am making this today! I had no idea this could be so simple! Looks wonderful! I went to see Les Mis live with my parents when I was in junior high or high school and loved it. I can’t wait to see the movie version. And seriously, chocolate mousse is the absolute best – so flavorful and delicious! I love Les Mis. This is a great movie snack! Homemade chocolate mousse is so so good and I’m so pleased you didn’t add cream – so much better texture with just gorgeous chocolate and eggs. Oooh, this looks good! I will definitely be making this. That looks so cool and creamy and good! Adore chocolate mousse ~ especially when it’s easy like this! Such an easy recipe! I am wondering about the water and the chocolate…doesn’t water cause chocolate to seize up? I will take your word for it, because it may be in the technique. Pinning!! OMG- Josh is a champ, Pete would say no way, lets watch Spartacus! This Chocolate mousse look so great! Haven’t seen it yet, but I did meet Chuck Norris’ stunt double at a party…ha-ha. Love the mousse, great date night dessert. This is calling my name! Especially since it is easy! Isn’t that raw egg you will be eating? We’ve been looking for a chocolate mousse recipe for a long time and this one looks delicious (and easy to make)! Can’t wait to try it! Just wondering if there is any danger in the raw eggs. Make sure you use fresh eggs with no cracks. I still haven’t seen the movie so this would be a perfect date night for me and hubs. Great job on the mousse. How fun does this sound! I love the idea of a lil’ themed date night in. Lovely mousse! We are always looking for a quick easy dessert so this might be perfect! You got me on “easy” AND “chocolate” AND “mousse”! Cannot wait to make this!!! Whoa, I didn’t realize HOW easy this would be! Yum! 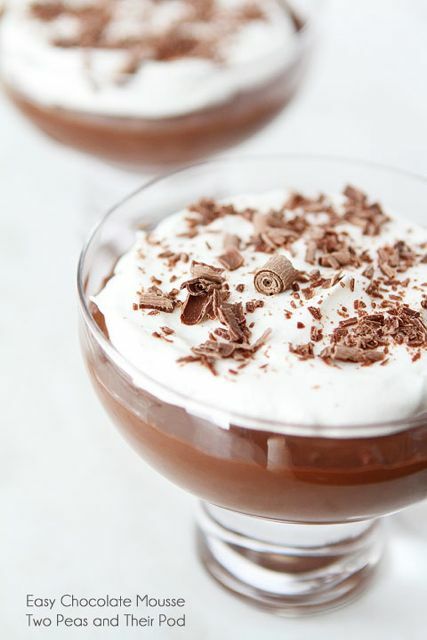 Your chocolate mousse looks divine, thank you for the recipe! Could this be used as a filling for a cake? Mousse is one of my favorite ways to enjoy chocolate but I don’t actually think I’ve ever made it before either! Better make up for lost time! Love that we both had chocolate mousse on the brain this week! Great idea for your themed dessert! The chocolate mousse looks divine! This on hot chocolate would be so good! I like Nicole’s idea for vegan chocolate mousse with avocado. Yum! 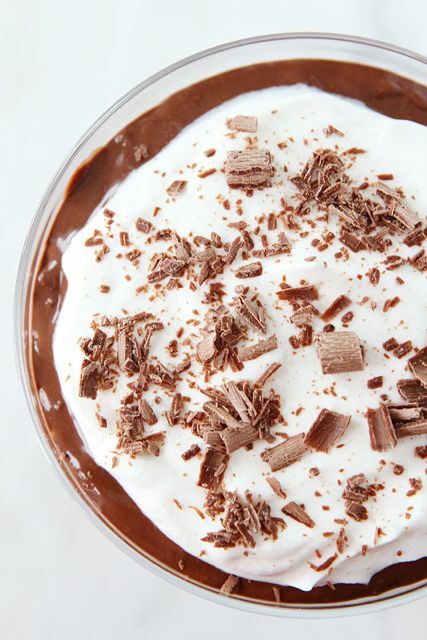 I love mousse – so easy and delicious! Les Mis – it’s gonna be a great date night for you and Josh! 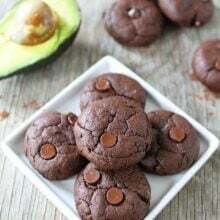 Anything easy and chocolate, im in! I’m pretty sure I’d be happy curled up watching a movie with some of this!! I wish I had a giant bowl of this to cry into when I was watching les mis last week! This looks awesome! David Lebovitz has amazing stuff in his cookbooks/blog. You photos are beautiful! I haven’t seen Les Mis, and your post has made me determined to go! And the mousse, AHmazing! What a fun date idea! Love it, and love this easy mousse too! Les Mis was just fantastic! And this mousse looks so good! Such a perfect dessert that isn’t too heavy. Josh sat right next to Chuck? Cool!! And my girls would scramble for a dish of this mousse – beautiful! This looks so decadent and seems super easy to make! Yum! You know, I used to think the same thing about mousse, that it was fancy and hard to make! 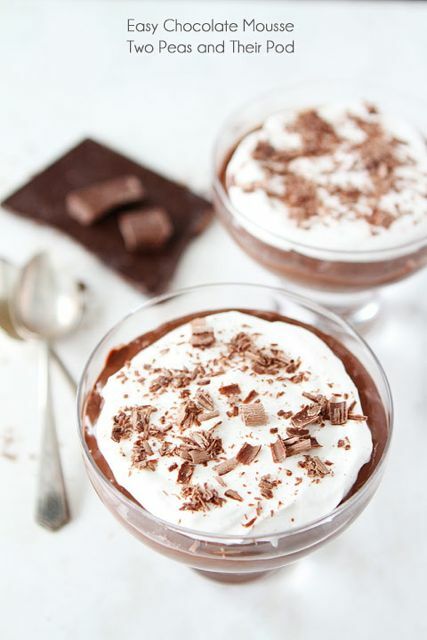 I’ve been looking for good mousse recipes, so this one is definitely going to my to-try list! In French, there is no accent or final “e” in “chocolat”; so it is “mousse au chocolat”. It looks yummy and so simple to make, though! You ain’t lying Maria! This is the easiest chocolate mousse EVER! I need to see les mis! It is spectacular on broadway, so I must see it on DVD! I missed it in the theaters. I just made this mousse and have my fingers crossed to see how it’ll turn out once it’s chilled! Going in, I knew that I wouldn’t have the perfect mousse because I was dealing with old chocolate that wasn’t of great quality, I mixed different types of dark chocolate because I didn’t have 7 oz. of any one type (I used mostly 70%, some 85%, and a little 55%) — and despite all these different chocolates being mixed, I’m still pretty sure that it didn’t add up quite to 7 oz. I kept on stirring the mixture while it was melting, but from the beginning it was very thick, I don’t have a Tbs measure, so I did it with a tablespoon utensil and added a little more — but it was still thick. I was too afraid to tinker with the mixture so I left it aside. Then came the eggs. I’m usually good with egg separation but the last egg yolk accidentally broke and leaked just a tad bit into my egg white bowl. I whipped the eggs for quite a while until it was glossy white, it formed white peaks but they weren’t as high and as stiff as when one would be making meringue. Mixing the yolks with the chocolate did loosen up the thick texture of the chocolate, but not enough. So when I added the egg whites, it was impossible to gently fold them into the chocolate mixture. Unfortunately I did have to stir — again, it helped lighten the texture, but I know the stirring vs. the folding will have taken away from the lightness that mousse is supposed to have. Lastly, I do feel like this mousse needed a little added sugar. I don’t know if this was because I was dealing mostly with 70% + chocolate, but by the end I didn’t know how to add the sugar without the making the mousse grainy. Don’t you have to cook the egg yolks? Did I miss something here? the web. I will recommend this blog! Just made this yesterday and it was so rich & delicious! Haven’t had a great mousse like that since I lived in France! Thanks so much, didn’t realize it was that easy. Great recipe!!! I was stuck on the egg beating part for a bit (never tried it before!) but once I got that figured out, it was a piece of cake!! And so delish!!! I scooped it into mini martini glasses for a party and added extra creamy whipped cream on top, and it was a hit!! I used bittersweet ghirardelli chocolate, which made the mousse very rich! I will definitely make it again! I was wondering if I could substitute cocoa powder for the chocolate… I’m assuming the chocolate mentioned in the recipe is from a bar? I haven’t tried the recipe with cocoa, only chopped chocolate. The third step is pretty unclear. Clarify please? Sounds like a delicious recipe. Bad recipe. The mousse was chunky and bitter, not light or fluffy at all. Very disappointed. 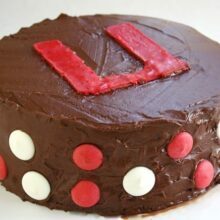 I’m new to baking, so please help. I’m having trouble with the first sentence of your directions. I’m not even joking. “Combine the chocolate and water in a heatproof bowl set over a pan of barely simmering water. ” What do you mean? Do you mean to say that you simmer water, and then put a bowl into the water, with chocolate and *other* water in that bowl?? I know I must sound stupid, but I’ve never heard of putting a bowl of ingredients into simmering water. OMG, this was so easy and so delicious! And with egg whites,mits healthier than the ones with cream. Gluten free always works for me too. Better than ice cream on a hot summer da. Thanks. I am soooooo pleased with this recipe. I tried it on a whim, and it worked out great! I was a little skeptical about no heavy cream being in the recipe, but I was immeadiatly reassured whaen it started to come together. I have tried so many (we’re talkin’ 6 or 7) chocolate mousse recipes, and none were quite as chocolaty or quite as fluffy as this one. Thank you so much! You guys really have talent!! My chocolate mousse came out runny. Ok so what if I use milk instead of water and add a splash of vanilla. This looks perfect for this February 14. One question. Can it chill over night?